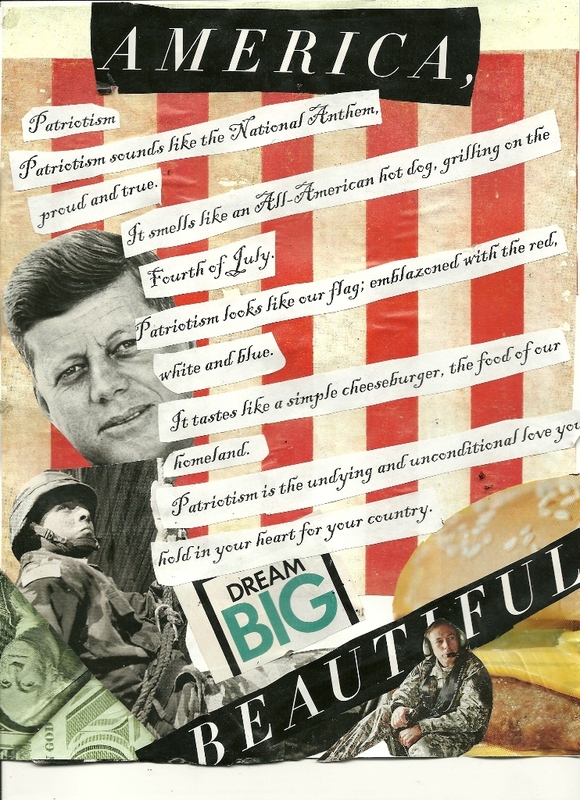 Patriotism collage by yours truly, Michael. We messed up this family. And aint none of us got a map. it hurts so bad that you had to deal with their problems little brother. Who aint even you’re biological father. Missing the love of you’re lost mother. But it’s their actions— I’m just writing the story. But man, ive seen you crying about it. Except no one cares enough to do anything about it. It takes me in and it suffocates me . And how you feel involves me . I love you . P.S I too miss our family. 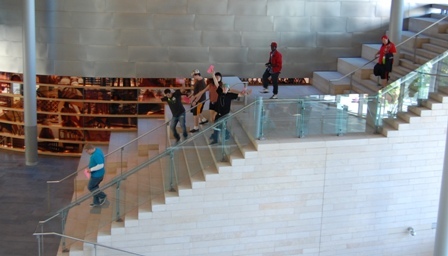 Last Tuesday, The Zine Project went to City Hall. 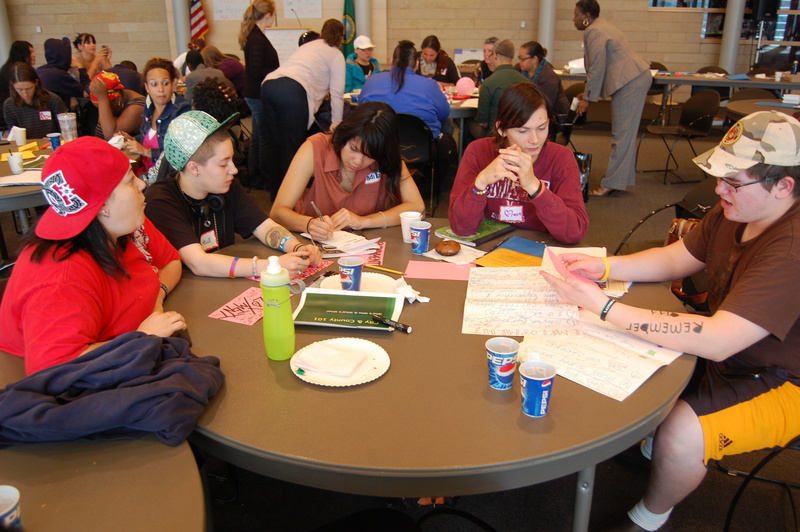 The Seattle/ King County Coalition on Homelessness (SKCCH) was hosting its 2012 Youth Advocacy Summit. The event was a two day effort to mobilize homeless youth to advocate for themselves to the City Council Members, who will soon be helping Mayor McGinn hammer out Seattle’s 2013 budget. As youth benefitting from a pre-employment program supported by the city, our interns attended the Youth Summit, hoping to share their experience with decision makers in a meaningful way. 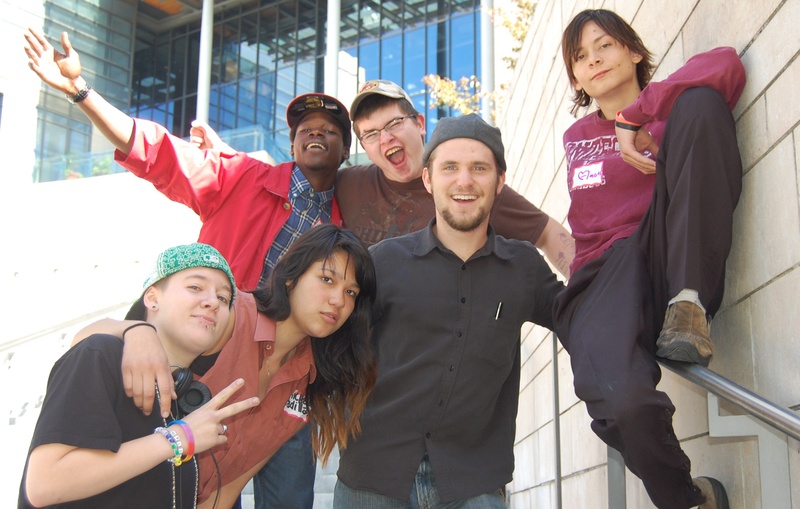 To make this hope real, Ziners showed up at the crack of dawn and road a bus downtown, then hiked up a hill to Yesler Terrace Community Center, to attend Day 1 of Youth Summit. It was gear-up day. Rather than just shoving the youth raw through the glass doors of policy makers, SKCCH takes a whole day to educate interested youth around advocacy strategies. Youth listened to speakers like Jim Theofolis, founder of The Mockingbird Society. Theofolis, with his loud, gravelly voice and wisdom, stirred the room. Even while being Respectful to policy makers who don’t understand. 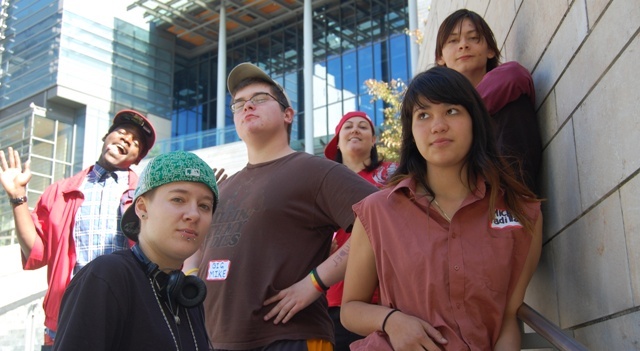 Having been inspired, Ziners broke up into groups with other Seattle homeless youth. They brainstormed about pressing issues like employment, housing, and shelter and voted on the key topics they would present the next day. Like all political discussions, there was emotion. Even some lulls of indecision. But everyone made it through the day more ready to thoughtfully represent themselves. 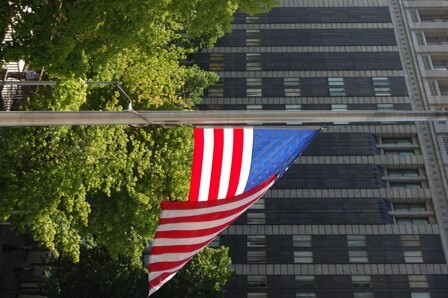 Taking place on the eleventh anniversary of 9/11, Day 2 of Youth Advocacy Summit hummed with energy and anticipation. Continuing on in their groups, the youth had two precious hours to hammer out their concerns before they had to present them to real, live Council Members. 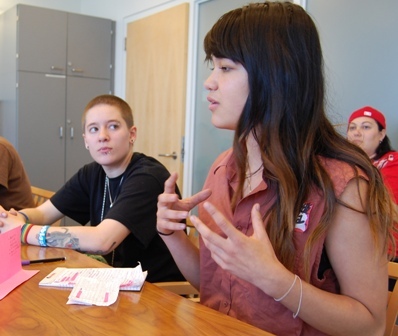 Zine interns sat on Youth Summit’s Employment Committee. With the reality of sitting before a power figure looming over them, they wrote and rehearsed earnestly. Then 1pm came and the Employment Group was led up the slab-like stairs of City Hall and ushered into Council Member Clark’s private waiting area. 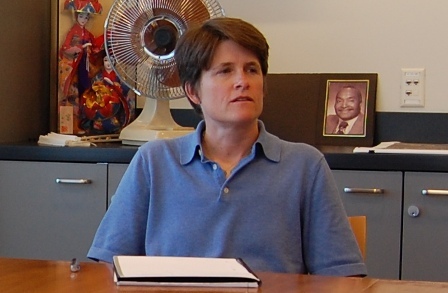 Sally Clark serves on the Committee for Economic Resiliency and Regional Relations. She has an interest in internships and employment projects that put people to work; she also proved to be an approachable and keen listener. Council Member Clark sat the group around a large round table in a room with wall to wall glass windows. The brilliant September sun lit up the room and made the wood of the tables and chairs smell warm. Seated, well-groomed and ready, the youth cleared their throats and started to speak. 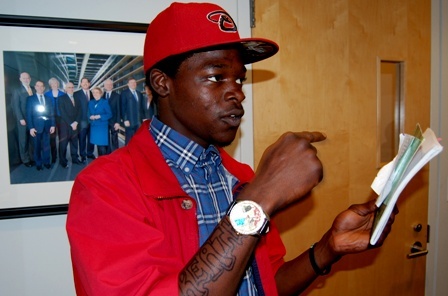 Youth who’d experienced Youthcare’s Tile Project, YMCA’s W.A.G.E.S., as well as Zine, were present. 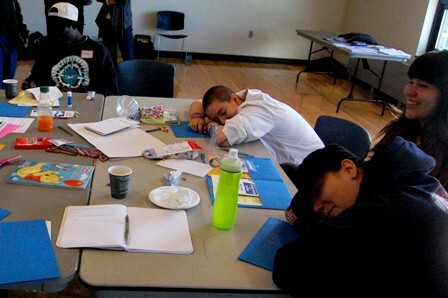 Each youth began by sharing with Clark three words that described their work experience in city supported work programs. “Freedom, expression, creative,” said one youth. “Integrity, fun, team work,” said another. Fast paced, excellent, enjoyable, self-motivating, supported, hard-work, character building, hands-on. Worth the trip. The youth delivered their words with confidence and then began to get specific. Council Member Clark gazed attentively as Michelle, Zine Intern, shared that for her, Zine gave her “something to wake up for”. 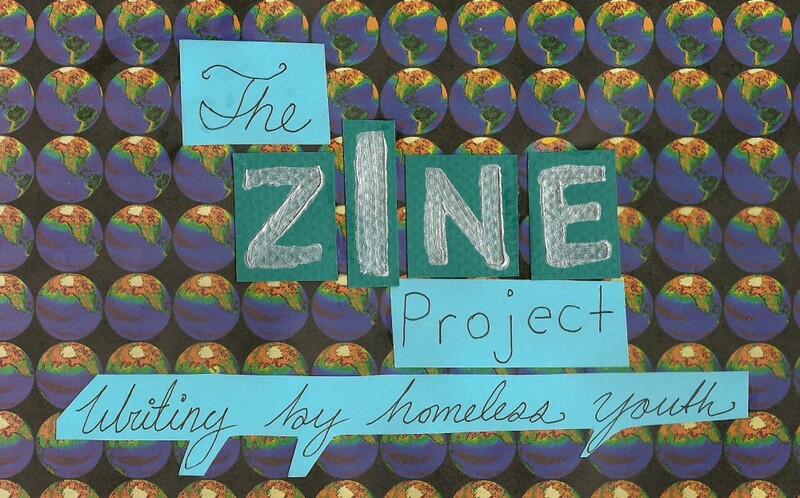 Others shared how employment programs like The Zine Project aren’t just jobs, their supportive resources for young adults with little experience and difficult situations to get basic needs met. Zine interns who show up early often shower or get a fresh change of clothes. And everybody gets breakfast. 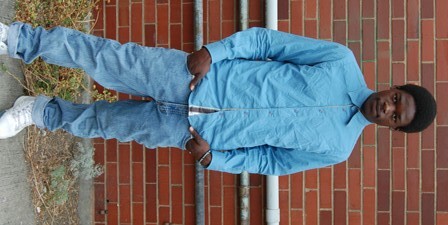 “Zine is a jumpstart,” stated Zine intern Michael. Clark affirmed many of their comments. As with all good proposals, the youth had an ask. They asked Council Member Clark to not only argue for a sustained budget for Working Zone and other programs, but also to expand them. “12-18 hours for 8 weeks isn’t enough to support ourselves on,” advocated one youth. “A 6-8 week internship isn’t enough experience to get other jobs with,” said another. Council Member Clark took in all of the youth’s comments. She thanked everyone and observed how rehearsed, well-spoken and confident they had been. “This signals to me it’s money well spent,” she said. Elated, the youth debriefed. Many felt encouraged and proud. It’s that time–new ziners are here! 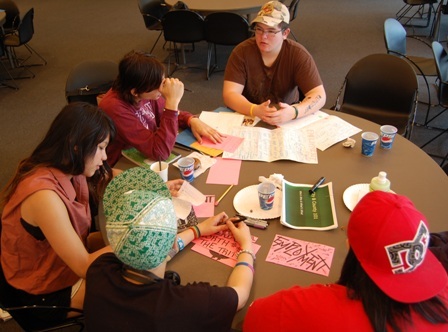 Two weeks ago, a group of six, talented new writers started writing and making art in the Zine Project. One of their first assignments is to complete a staff profile page, describing a little bit about themselves. Most just include the usual paragraph, but one of our new ziners was so impassioned about being here, they wrote a poem to introduce themselves. I would blow it all on having fun. and sit under the sun. and watch the waves run. but I hope u know I would soft and gently hum. that almost weight’s a ton. and then I’ll know I’m done. There would be no problem with a million dollars,or I could not think of one. I heard of zine while I was down a stream of just becoming a bum. I read to u threw these words of mine and add up the sum. I love to write, don’t usually type these finger don’t seem to drum. if u were that smart with a million dollars or none. I’d write a million things and call it zine knowing it will come. Be sure, readers, to check out our updated staff page, complete with the rest of our new and interesting interns.